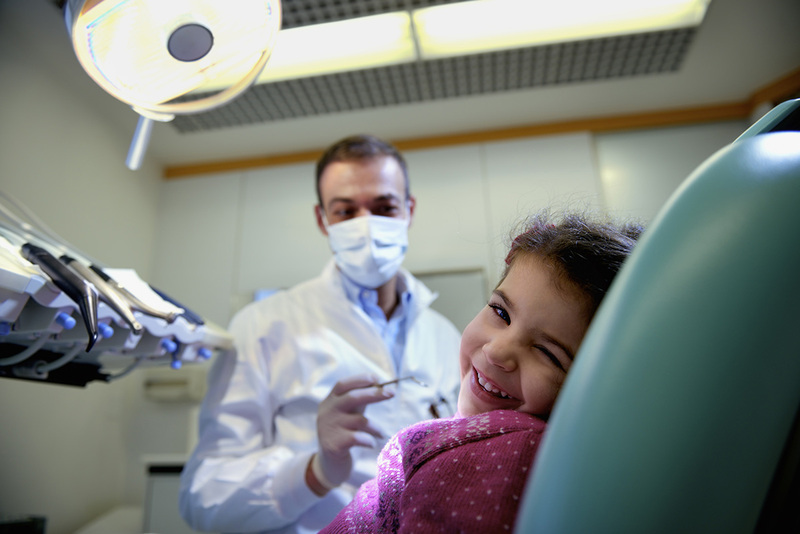 Children should visit the dentist twice a year – beginning at age one! Many parents are unaware their children should see a dentist so young. To find a dentist, parents should contact their insurance company or HMO. The NJ Smiles Directory also provides a list of dentists who treat young children. Clean your child’s mouth twice a day, even if no teeth have yet erupted. Wipe gums with gauze. Anything that touches someone else’s mouth should not be allowed to touch your child’s mouth. Once the first tooth appears, use a soft-bristled toothbrush and water to brush your child’s teeth. Children should have their first dental visit around the time of their first tooth eruption and no later than age 1. Children should receive fluoride rinse/teeth cleaning and sealants to prevent tooth decay. There should be 20 teeth in your child’s mouth by age 3. Never put your child to sleep with a bottle containing anything but water. Sugary foods and drinks should be avoided. Products containing xylitol, a type of sugar that is beneficial for dental health, should be encouraged. Routine exams should occur every six months or as determined by your child’s dentist. Once your child learns not to swallow toothpaste, use a rice-sized speck of fluoride toothpaste to brush teeth. Find other tips for keeping your child’s teeth healthy.